The UK’s Environment Agency has found that it takes 171 uses of a plastic reusable grocery bag to offset the higher carbon emissions a single use plastic produces during manufacturing. That would mean that if you use your plastic reusable shopping bag twice a week, for 86 weeks, or 22 months, the product would be as efficient to produce as single use plastic bags but would create much less waste. Most eco friendly bags are designed to last up to 2 years with regular washing, so if you take fairly good care of your bags, they should last the full 22 months. In the UK, when you buy plastic reusable grocery bags, they are replaced for free by retailers. The main purpose of this is to ensure that the bags are recycled which further lessens the environmental impact. The retailers earn a small amount of money per bag by accepting them back for recycling, so both parties are rewarded for using and recycling the eco bags. For an even better alternative, jute and bamboo bags will last for about 4 years and if used correctly, will replace over 600 single bags. At the end of their life, they can be used as planters for growing garden vegetables as they are 100% biodegradable. 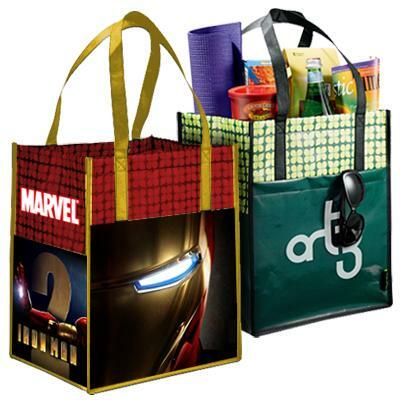 Jute and bamboo are very strong fibers, so the bags will hold heavier items and last longer. Hemp bags have natural antimildew and antimicrobial properties and is an extremely durable, fast growing sustainable fiber that is drought tolerant. Unlike conventionally grown cotton, hemp doesn’t require massive quantities of pesticides and fertilizers to grow well either. In fact, it’s growth rate is so rapid, it is ready for harvest in only 4 months, reaching a height of 6 feet, and producing 3 to 6 tons of dry fiber per acre. In fact, Levi Strauss’s legendary denim jeans were originally made out of hemp and the word “canvas” is derived from “cannabis”. Prior to the introduction of synthetic fibers, hemp was used all over the world. Fashion industries are now using reusable shopping bags as a way to promote their brand, and some of the bags are now becoming fashion statements. British designer Anya Hindmarch’s “I’m Not A Plastic Bag” sold out in one day, and fetched $800 on the Internet. The bag was made of cotton. 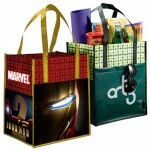 It is becoming more fashionable to use reusable shopping bags, so make sure that you use yours!